To start sending emails with eCampaign it’s necessary to configure an SMTP server or SMTP host – that is, the machine that takes care of the email delivery process. SMTP server: your SMTP server name; if you don’t know it and you’re not using our service, you can have a look at this list. Port: the default SMTP port is 25, but if you are using an encrypted connection (see below) you must switch to 465. 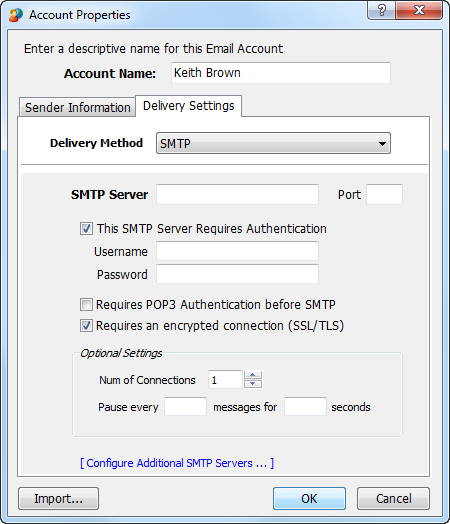 For all options, please check our related article about ports for SMTP. This SMTP requires authentication: flag it if you want to send authenticated emails (with your username and password). Requires POP3 Authentication before SMTP: flag it if you want to enable a secure “POP before SMTP” authentication service. Requires an encrypted connection (SSL/TLS): SSL and TLS are forms of encrypted sending. To send your emails via a more secure connection, flag it. 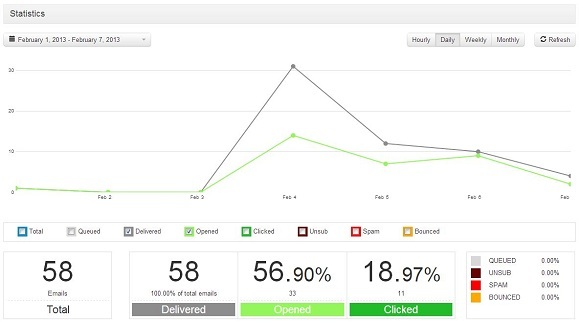 And that’s it, your SMTP host is configured: you’re ready to start sending emails with eCampaign.